Healing Fukushima. 2016. Directed by Sulfikar Amir. Written by Shi-Lin Loh. 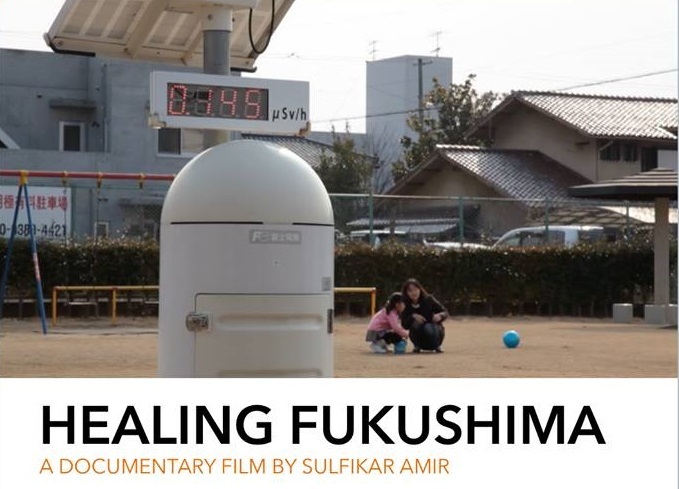 Healing Fukushima is a documentary exploration of Japanese medical responses to a series of disasters that culminated in the nuclear accidents on 11 March 2011. It depicts how Japanese medical professionals responded to the disaster, which is complicated by an invisible component of radiation risk. The film examines the emergence of a new mode of knowledge production in the wake of unforeseen calamity. Featuring the voices of eight practitioners from two municipal hospitals and Fukushima’s flagship institute of medical education, the film presents their reflections on the health issues produced by the 3.11 disaster, as well as the complexities involved in creating and conducting a system of post-disaster medical care. Revolving around resilience and knowledge production, the film explores responses, contingencies, practices and subjectivities as the four themes that characterize institutional and individual responses to the Fukushima nuclear crisis. It carries the viewer from practitioners’ workplaces to private spaces and the affected areas around Fukushima. Educators may ask students to watch this film and invite them to engage with the perspectives it presents from the medical practitioners interviewed about how doctors respond to disasters. Having watched the film, what do you think the risk of living in Fukushima today is, and why? What does the film suggest to you about how disasters unfold, apart from the actual events themselves (earthquake, tsunami, power plant accident)?